If you haven't already, I'm sure you'll soon hear about the famed Matsushima, known as one of Japan's three most scenic sights. Matsushima has some 260 tiny islands covered in pines - hence the name. It is a must-see for most visitors to Miyagi. There is LOTS to do in Matushima and there are often festivals near the bay. Our CIR Roger has done a stellar job at promoting the area and you can find out more about what's happening in Matsushima on his Facebook page, Visit Matsushima. To get to Matushima from Sendai, take the Senseki line to Matsushima-Kaigan (松島海岸) station. Be careful, there's also a Matsushima Station off the Tohoku line, but it's rather far from the seaside. Matsushima is also accessible by ferry, which is highly recommended if it's a nice day. There are several that leave from Marine Gate in Shiogama fairly frequently and offer a scenic view around the islands before arriving in Matsushima. 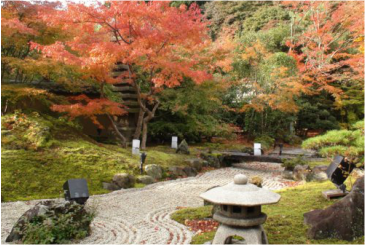 There are a couple of temples, the most notable being Zuigan-ji Temple. 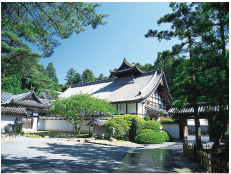 This Zen temple was originally founded in 828 by Jikaku Daishi, but was rebuilt by the feudal lord Date Masamune from 1604 onwards. It is currently under reconstruction until March 2018, but you can still enter the grounds. 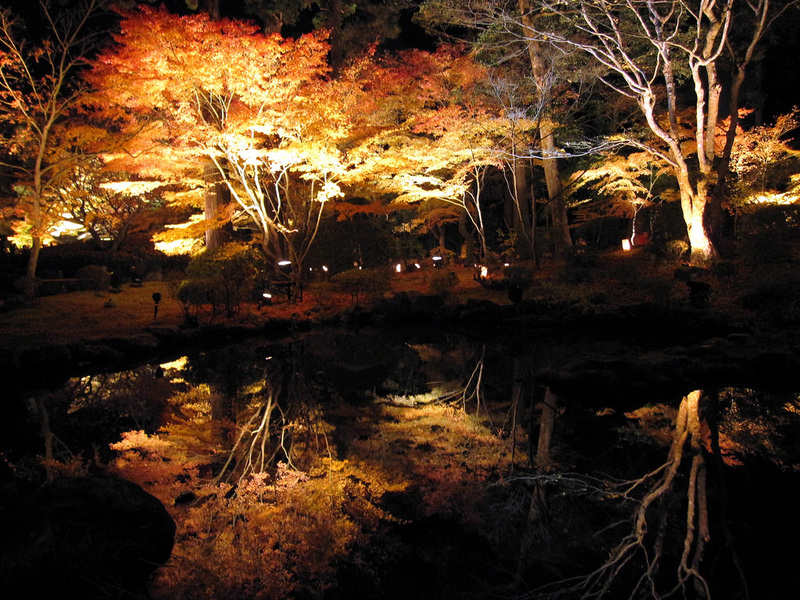 During autumn when the leaves change colours, there is a festival called Matushima Light Up Illumination. It's definitely worth a visit! Near Zuigan-ji is Entsu-in, a famous Rinzai Zen Buddhist Temple. On one side it has a delicate Zen garden and on the other there's a beautiful Western rose garden. 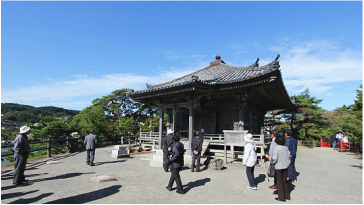 The temple was built in mourning and is devoted to Kannon, the Buddhist goddess of mercy. Far back into the temple grounds stands the mausoleum. The mausoleum's interior is decorated in small Western symbols of crosses, hearts, spades, diamonds, and clubs. These symbols were included into the design to signify the Date Clan's voyage to Rome. During autumn when the leaves change colours, there is a festival called Matushima Light Up. 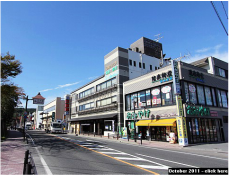 As you walk down the street from MatsushimaKaigan Station, you pass by many food vendors and souvenir shops. 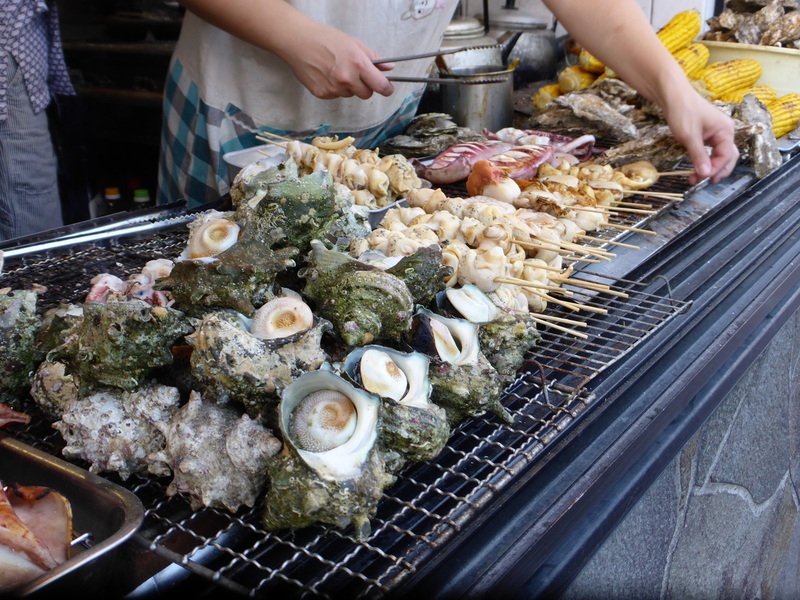 Matsushima is known for its oysters, so if you enjoy them check out one of the many restaurants in the area – oysters are prepared in almost every conceivable way. There's even a cruise around the bay that let's you enjoy oysters! 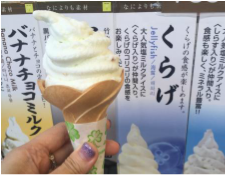 Some other favourites are kabocha (squash) cake, big soy sauce rice cracker (shoyu senbei), grilled squid, a French fry stand, and any one of the unique flavours of ice cream. Why not try out the jellyfish flavour? As you continue walking down the road from MatsushimaKaigan Station, you will come across Kanrantei Tea House on your right (near Godai-do). 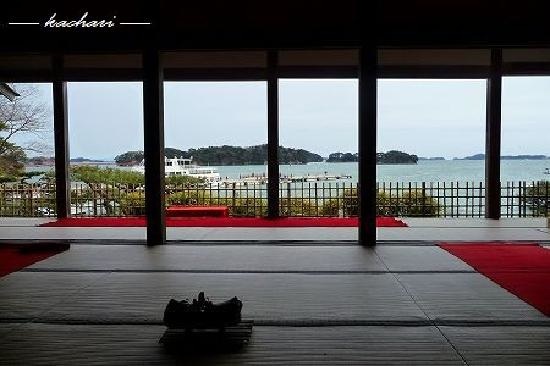 Kanrantei means "place to view ripples on water", due to its beautiful view of Matsushima Bay and the surrounding islands. Kanrantei was originally built in Kyoto by Toyotomi Hideyoshi, who gave it to Date Masamune for his service. Date's son eventually moved it to its current location by the water. There are two rooms and you can enjoy tea for 600 yen while looking out at the stunning view. Behind the tea house is the small Matsushima Museum. Near Kanrantei Tea House and the ferry dock is Godai-do Temple Hall. You walk up a couple of steps and cross a small, red bridge to get to it. 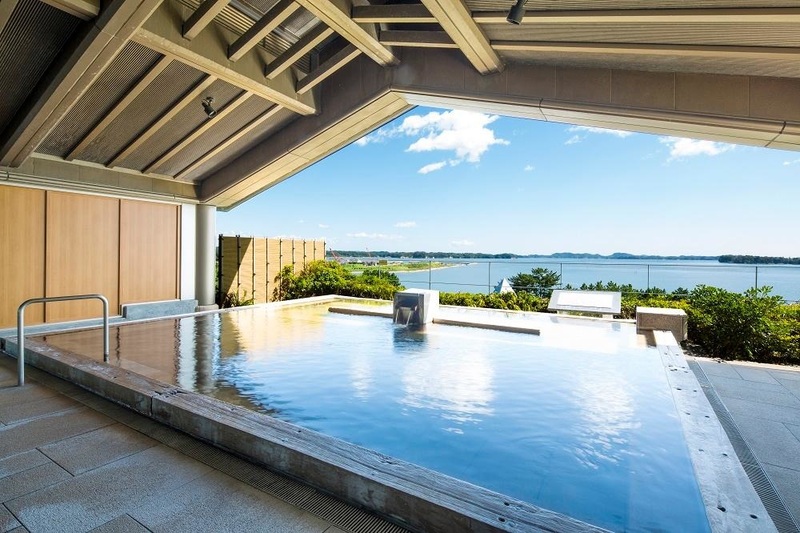 It's free of charge and it gives you a spectacular view of Matsushima Bay. Around the outside of the hall you can find all 12 animals of the Chinese zodiac. From Godai-do you can see Fukuura-jima, a small island that can be accessed by a long red bridge. It costs 200 yen to cross, but it's a beautiful stroll, especially around sunset. You can walk around the island and visit the beach. There is a superstition that if you cross this bridge with your lover, you will soon break up. You've been warned. If you're looking to relax in an onsen while admiring Matsushima Bay then the place to go is Matsushima Ichinobo Onsen (松島 一の坊温泉). Ichinobo is a hotel complex, but visitors are allowed to enjoy the facilities during restricted hours. There are 2 spa packages available. The first and most common one is the main onsen package. During the hours of 12-3 pm you can enjoy 2 onsens which overlook the bay for 1500 yen. This also includes access to the lounge (before or after the onsen) and drinks. There's usually tea, coffee, and juice. The view alone is worth the trip! The other spa package is from 12-4 pm and for 1600 yen you can enjoy a hot stone room, an onsen inside the hotel (this one doesn't have a view), and a couple of other amenities. 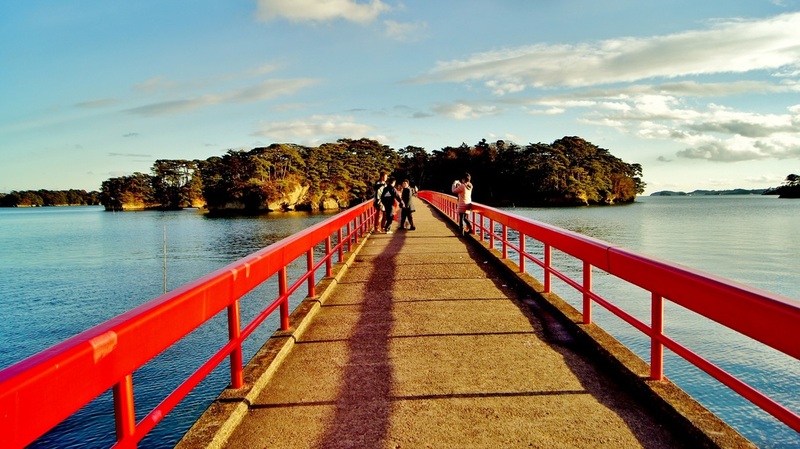 You can get to Ichinobo from either Matsushima Station or Matsushima Kaigan Station. It's about a 15 minute walk from either.